The official transcript of Daniel ‘6ix9ine’ Hernandez’ guilty plea has been made public. In this transcript, Tekashi69 admits to having ‘met and joined the Nine Trey Blood Gang’ in Autumn 2017, during the same time period he was filming for the video for Gummo. 22-year-old Tekashi69 also confessed to being involved with three different violent crimes in 2018. These crimes included an attempted murder on March 20, a robbery on April 3, as well as a shooting on June 2. Although the plea does not give any specific identifying details, this shooting lines up with the time frame of the attempted shooting of rapper Keith ‘Chief Keef’ Cozart. According to Complex, 6ix9ine originally denied being involved in the incident. However, he has now confirmed he hired Kintea ‘Kooda B’ McKenzie to carry out the job. Both McKenzie and 6ix9ine are reportedly now facing maximum sentences of life imprisonment. No person was injured during the shooting. As reported by Complex, who have obtained the documents in question, 6ix9ine admitted in the plea that he ‘paid a person to shoot at a rival member of Nine Trey to scare him [Cozart]’. Complex revealed how other documents make it clear that this individual was McKenzie. 6ix9ine reportedly offered McKenzie $20,000, however this was later reduced to half of this amount. As a member of Nine Trey, the enterprise engaged in such activities including shooting at people, robbing people, and at times drug trafficking. 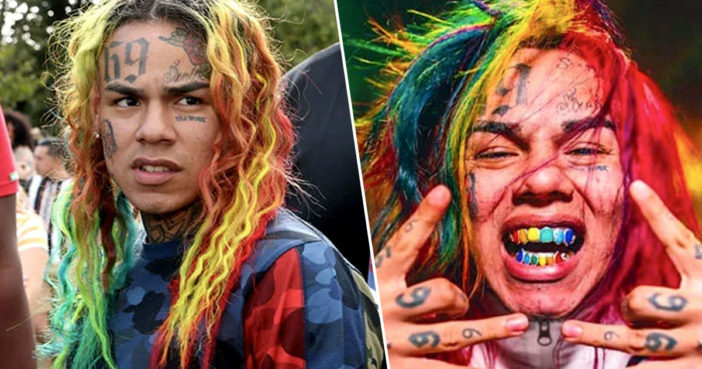 When Judge Paul A. Engelmayer enquired if 6ix9ine had ‘ever been treated or hospitalised for any mental illness’, the rapper responded by stating he had suffered from ‘depression and post-traumatic stress’ around 2011 and 2012, after his stepfather was murdered. I started becoming just rebelling and not showering, like depression stuff. @genwhypod it’s still very early, but the #YNWMelly case is worth keeping on eye on. Aspiring rapper allegedly murdered two of his close friends and then staged it as a drive-by. Also his biggest song is ‘Murder on My Mind’. 6ix9ine’s plea was made on January 23. However, it had been withheld from the public until new people in the case – including McKenzie and 6ix9ine’s alleged kidnapper Anthony Ellison – could be added to the indictment and brought into custody. 6ix9ine will receive his sentence on January 23, 2020, exactly one year to the day after he made his plea. He now faces a minimum sentence of 47 years in prison. However, Judge Engelmayer was clear that if Hernandez should ‘successfully cooperate’, he may receive a sentence below the mandatory minimum.